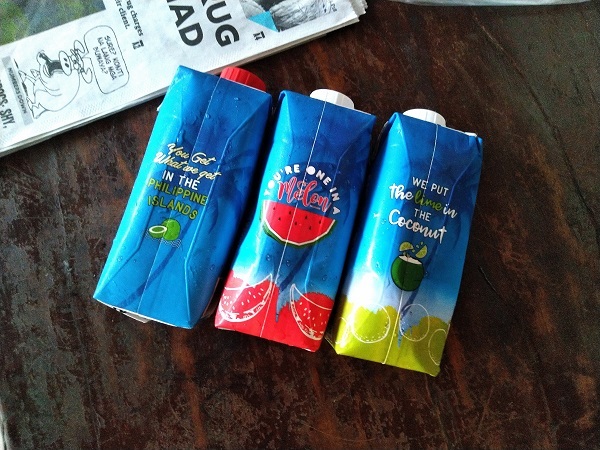 Home » Food » Have You Tried Nyogi Coconut Water? Have You Tried Nyogi Coconut Water? Don’t you think it’s nice that there’s an abundance of coconut water in the Philippines? 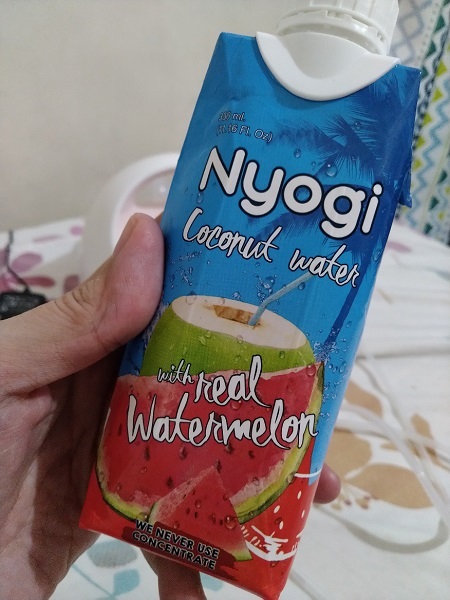 I like that Nyogi has packaged coconut water so you can easily have a refreshing drink on the go. I also like the package design and the cute copy on the back of every pack! The watermelon variant has “You are one in a melon,” while the lime one has “We put the lime in the coconut”. It might sound corny to some, but the copy can lift your spirits up even if just a little bit. 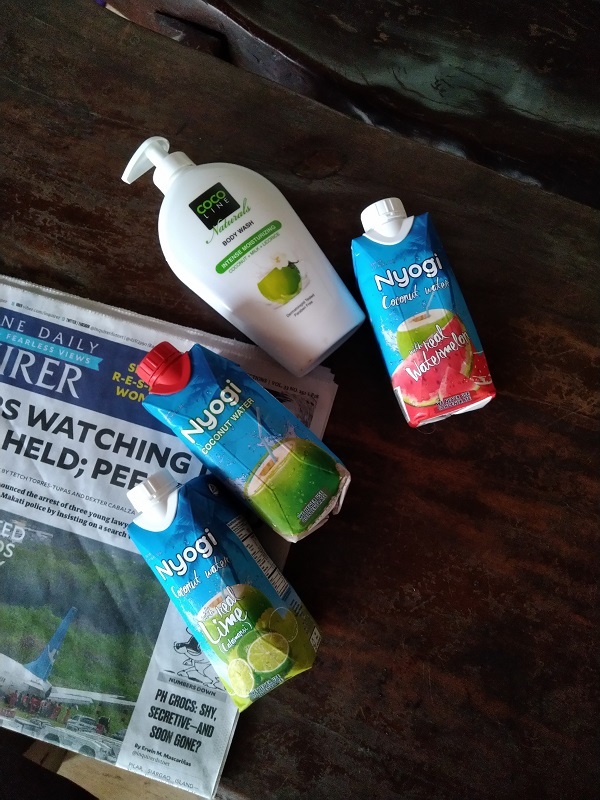 I also like that Nyogi coconut water never uses concentrate. I can go on about this. It’s pretty common for manufacturers nowadays to use concentrated fruit juices, and it’s a little sad because concentrates are mostly made of sugar. So if you’re on a diet, here’s a tip: Check out the ingredients list on the bottle or tetra pak before buying. You’d be hard-pressed to find one that’s made of real, pure fruit juice, but there are several gems still out there. Don’t be fooled though–Nyogi coconut water is artificially sweetened with real fruit juice (aka fructose). So diabetics may want to watch the amount of Nyogi they guzzle. SO Which Is The Best Flavor? I tried all variants and I must say I loved the original one the best. Nothing beats the original! A close second is the one infused with watermelon, since it’s just so refreshing! To be honest I’m on the fence with the lime version because not everyone likes coconut water with a sour note. The mild tart flavor comes from the calamansi juice, and since I’m pretty sure that calamansi is called Philippine lemon, there might be people who would be angry about the misleading packaging/marketing. Limes are not lemons, after all.